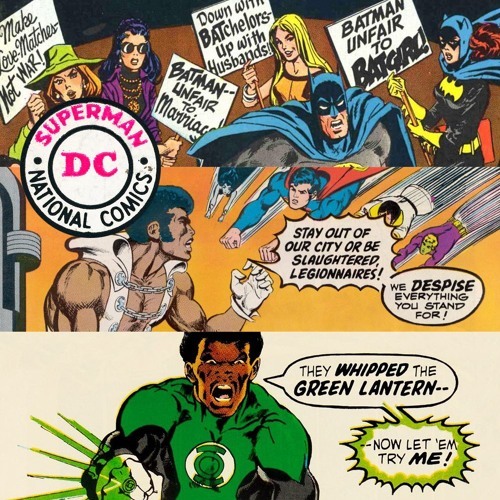 In this episode, we dip into DC since we spent so much time last week trying to convince Phil and Darryl that Marvel was more progressive. And wow, they sure were. We really can’t tell the difference between the names Cleo and Chloe. Ryan forgets that we’re so deep into the explicit tag and thinks we have a clean podcast. Darryl can’t stop staring at Batman and Robin’s butts (or those gams). Daredoll Phil just can’t escape the ol’ whip and chain, so he smashes racist skeletons instead. And Ryan must really be having an off day because Sly actually comes to his defense. And did you know? Sly LOVES comic lore.